The book is about Mae Adams, the narrator, who was born in Korea in 1933 as the second daughter and abandoned by her mother for she was not a son. In the Korean family system of that time, the first-born son was a blessing as he inherited the family fortune and was responsible for the entire family. This notion brought on the unfair treatment of daughters, although most families accepted the first daughter with reluctant grace. Mae grew up in her Aristocratic family which had retreated to the family resort estate in the mountain village after the assassination of Queen Min by the Japanese on October 18, 1895. Mae’s relationship with her mother was stormy at best, and Mae’s father ignored her and never spoke to her until he died when Mae was five and a half years old. 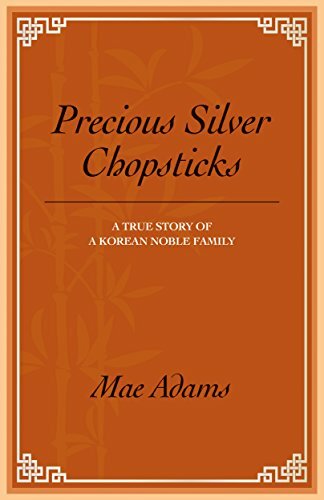 But, Mae’s step-grandma raised her in that mountain village and gave her a pair of silver chopsticks as a symbol of her love on her first birthday. She also had tender love from her grandpa and Little-Pa.
She came of age in a country that was occupied by the Japanese empire, received a Japanese education and endured their abuse of Koreans. At the end of the World War II, when the American and the Russian divided the country in half, the family endured a harrowing escape from the Communist regime that took over her hometown, while her grandma stayed behind to give the family time to escape. Five years later, the family survived the Korean War narrowly escaping death several times. After the war, she became the breadwinner of her family, managing export businesses, and dreamed of going to America to get a college education. She met the man of her dream, an American Marine colonel, but left him to pursue her education. During the three years of her separation from him, she continued a long-distance love affair with the colonel. She hung on to her precious silver chopsticks all through her difficult journey to the United States. And, she describes their effects on her life, and how they shaped her moral principle. Finally, she married her colonel and raised a family. After 43 years together, her husband passed away when she was 71. Through the grieving process, she started to write her memoir as therapy. From that first book, “Precious Silver Chopsticks” was born. $2.99 on Kindle. 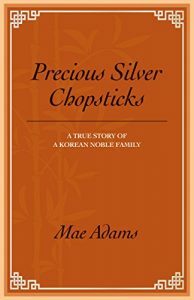 "Precious Silver Chopsticks" was first posted on freebookpromotions.com on April 05th, 2019. Each day we feature new free and discounted Kindle books in the Biographies & Memoirs genre as well as all other genres.